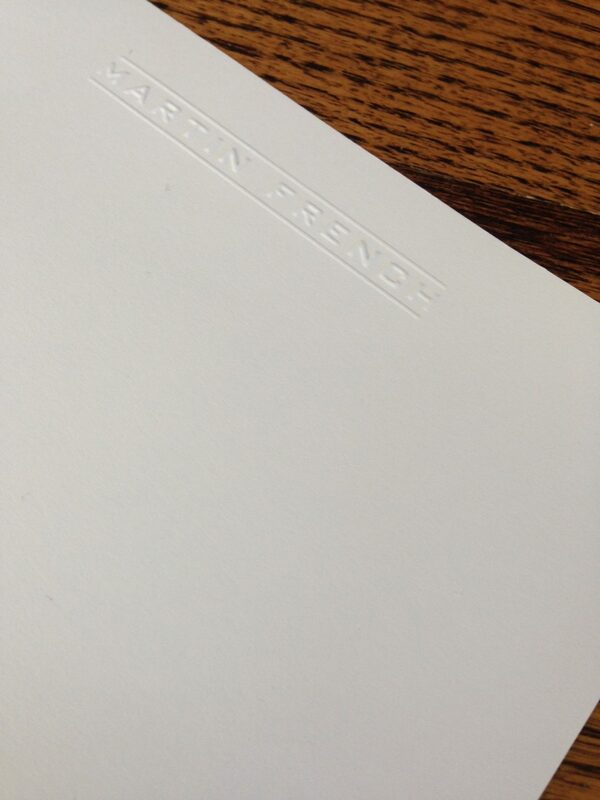 Updating our stationery is away to give ourselves a refresh for a new season. The days are getting shorter. The temperature is cooling. Soon, it will be time to change out wardrobes. We’ll swap shorts for pants and tank tops for long sleeve shirts. We’ll perform the annual treasure hunt: pull out last year’s clothes from storage and see what fits and where we might want to fill in with some new clothes. Treating ourselves to a few new pieces – in fabric or paper – is an annual fall ritual. 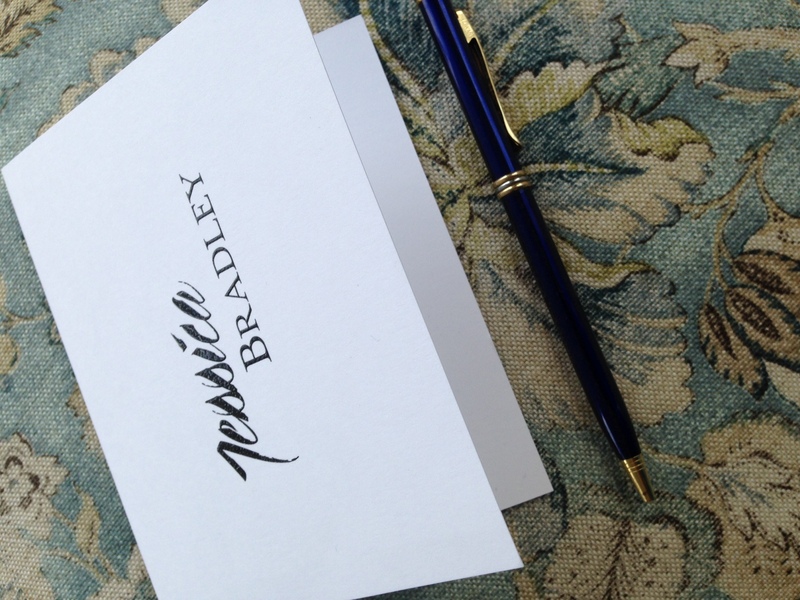 Our designers have been hard at work, creating their latest, greatest lettering styles and monograms. We’re excited to show you four new folded monogrammed notes. They feature classic style and international flair, spanning Europe to South America. Didn’t get away this summer? 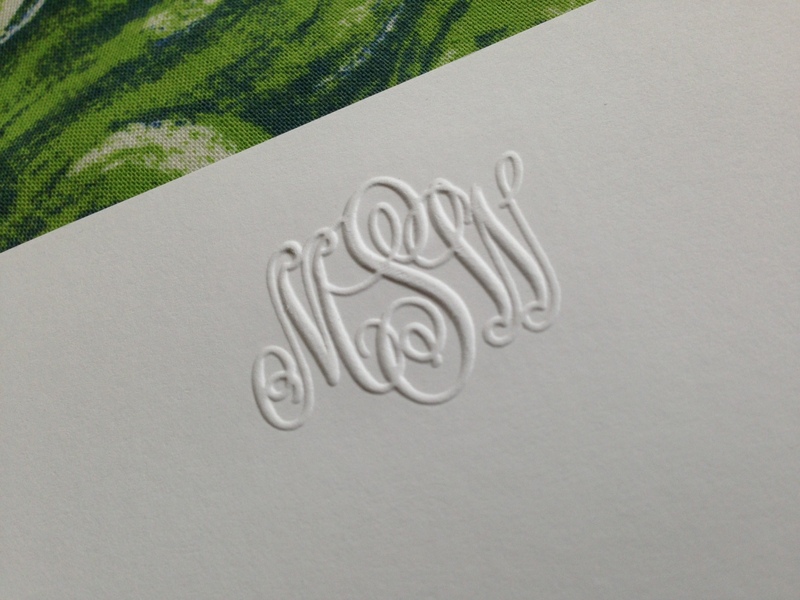 These new monogrammed notes can transport you. Not to mention that they really make a statement. The city of lights. Classic pearls. Folded notes in wonderful, thick paper. This monogram is a sophisticated update of our best-selling Paris Monogram. With two lowercase initials flanking a distinctive uppercase initial, this monogrammed note is sophisticated and one-of-a-kind, just like you. Choice of raised-ink color. Latin American style with a touch of classic flair makes this personalized monogram note distinctive. 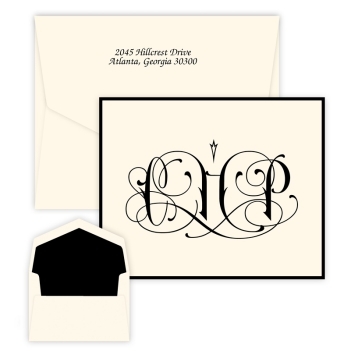 Two monogram options feature flowing letters in a bold design that’s as elegant as it is forceful. Let this stationery transport you to someplace exciting and sophisticated. Choice of raised-ink color. 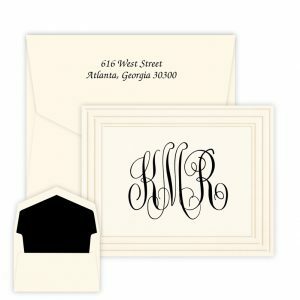 Like a crisp white shirt and classic black ballet flats, the Pearl String Monogram Note is the perfect accessory for any occasion. 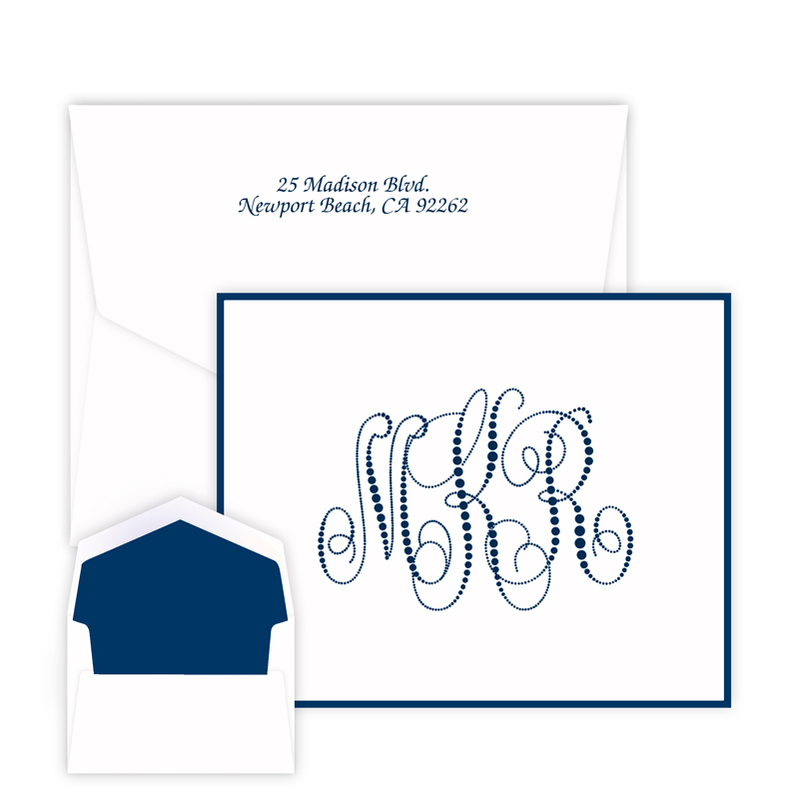 Impress your correspondents with this larger, modern monogram in a strand of pearls motif. Choose from a range of vivid raised-ink hues. 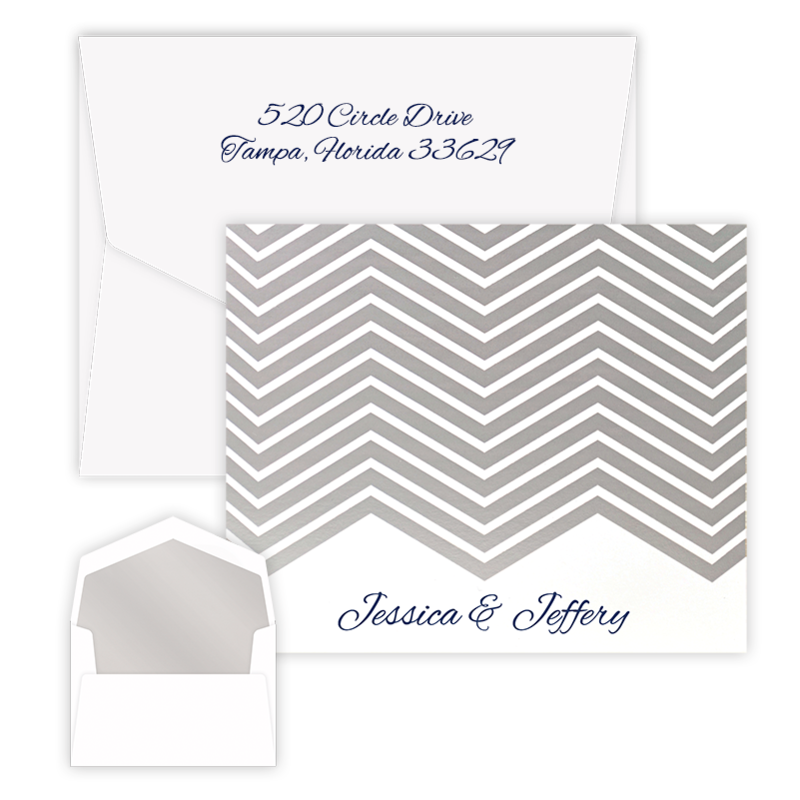 Add an optional border to make this stationery really shine. 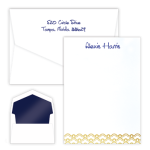 You’ll feel a sense of pride as you put pen to paper using these stylish, personalized folded notes. 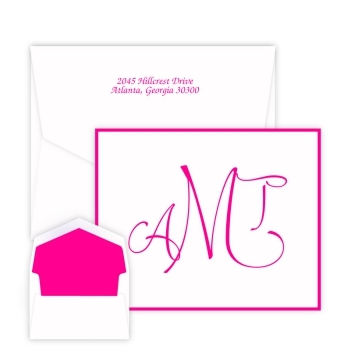 Send a heartfelt message to all your friends using these thermography printed, monogrammed note cards. 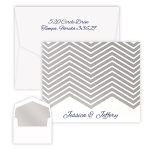 Choose among four distinctive lettering styles and many vivid ink colors. See all of our new products for fall here. 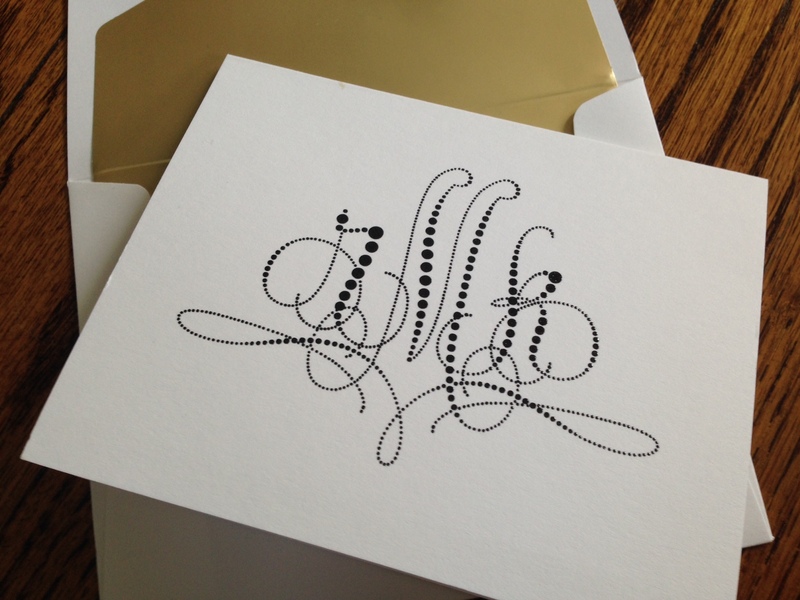 The new Orchid Monogram Cards is full of romance. 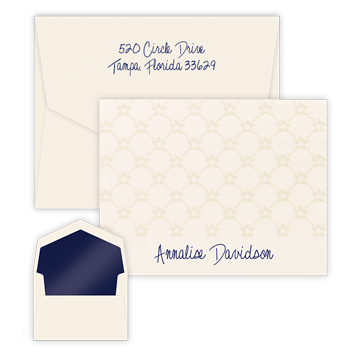 If you love our Elise or Paris monograms, you will surely enjoy our new Orchid monogram. 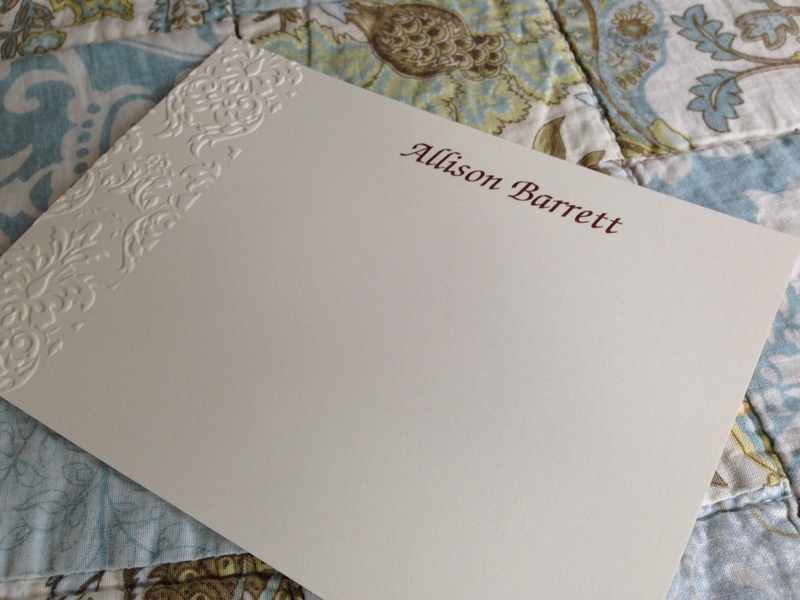 It’s the same flirty lettering style, but it features a dramatic embellishment that swirls along the edge of the card. There’s nary a straight line to be found. All romance and soft curves, the Orchid monogram displays your love of life. You are not content to follow the straight and narrow. You like to savor life’s pleasures. 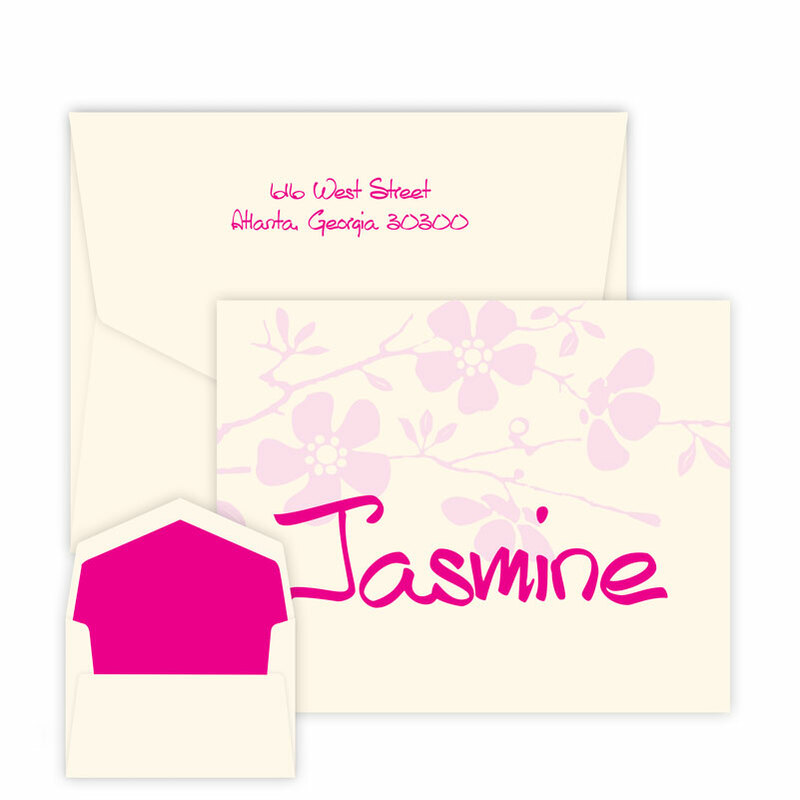 Made from triple-thick paper in a 4.5″ x 6.2″ size, the Orchid Monogram Card offers plenty of room to write. 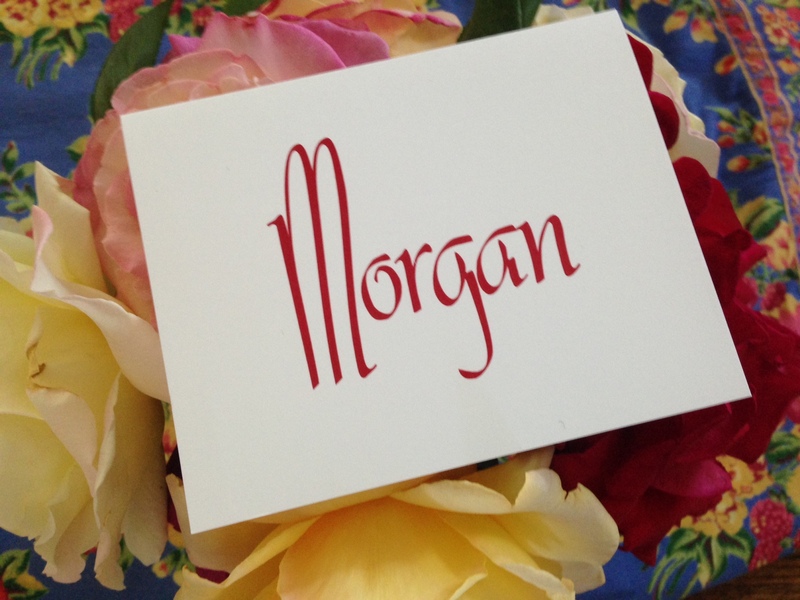 We print the monogram in your choice of 11 raised ink colors, including red, gold, fuschia, purple and black. 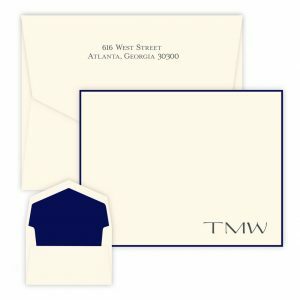 This card, like all of our notes and cards, comes in a set of 50 cards with 50 envelopes. 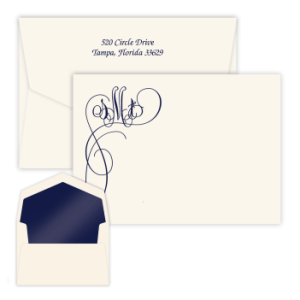 To make it even more special, opt for hand-inserted linings with your envelopes. 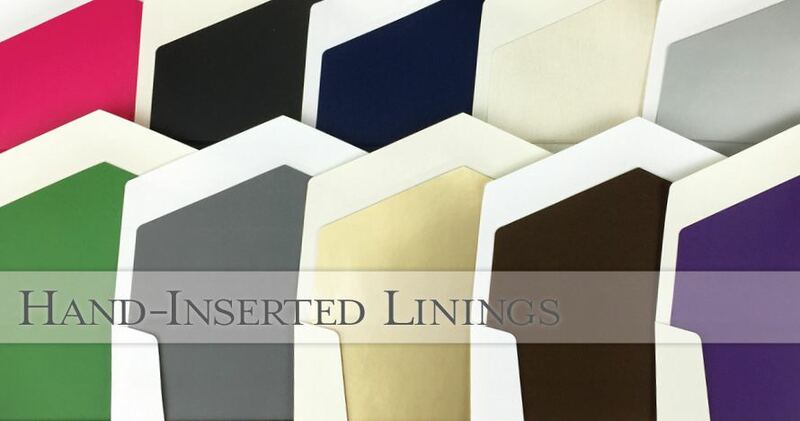 Choose from satiny silver, opal , gold, red and many more papers. Designed by Embossed Graphics, America’s favorite social stationery company, this folded note is made in the USA. 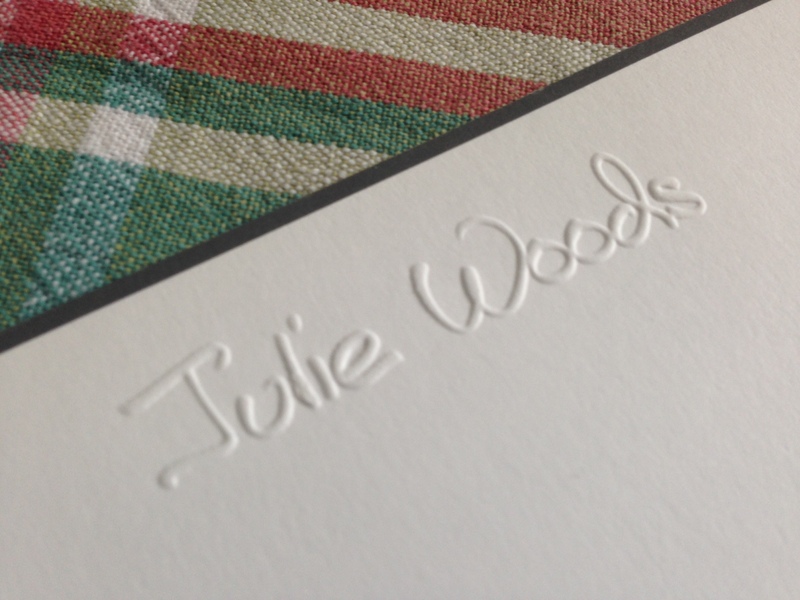 Their long-time, experienced craftspeople dedicate themselves to perfection. 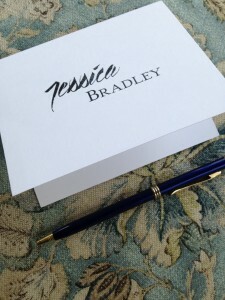 In some cases they have been creating stationery for 20 or even 30 years. See the Orchid Monogram Card here. Now you can add even more luxury to your favorite Giftsin24 stationery by selecting gold ink. We’ve added this shimmery hue to our lineup of raised ink colors, so you have even more choices. If you love wearing gold, why not add it to your stationery? 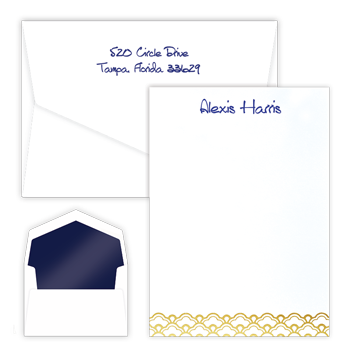 For bordered cards and notes, pair gold lettering with a black border on stark white paper for an opulent feel. 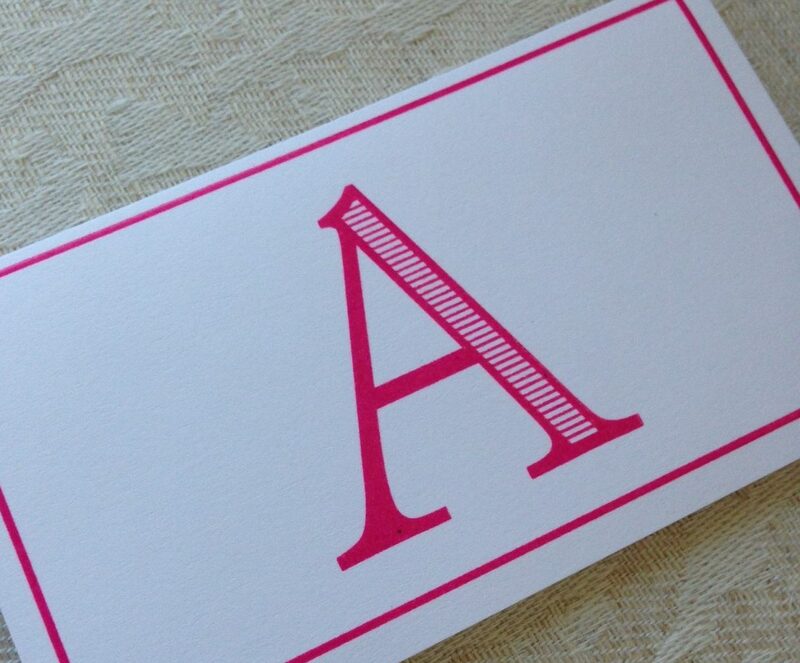 To achieve the ultimate princess look, combine gold lettering with a fuchsia border. 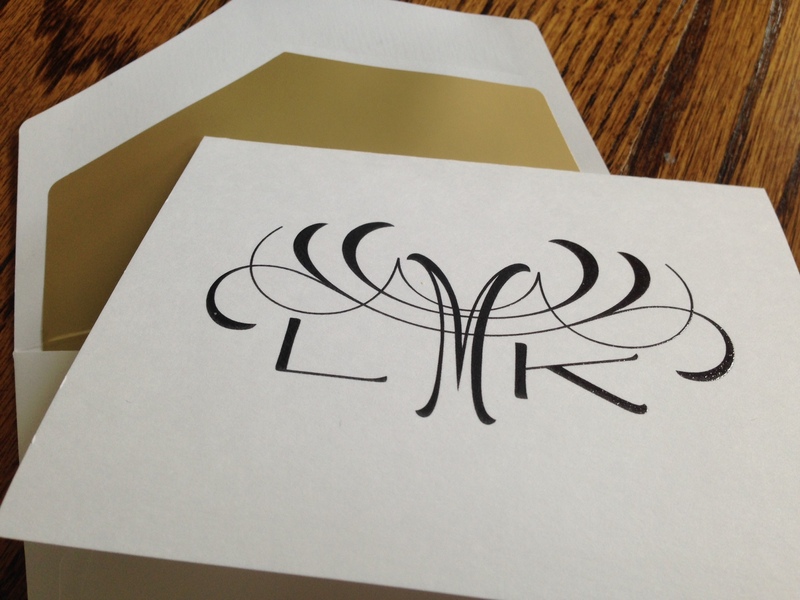 Gold ink looks gorgeous with ivory paper. On white paper, it takes on a regal feel. 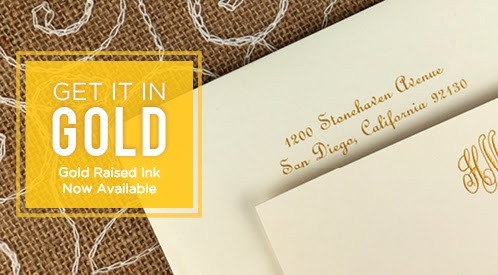 Check our all our raised ink products for the new gold lettering choice. Let us know what you think. We’d love to hear from you. Raised ink cards Personalized with your unique message, our raised-ink cards are a masterpiece. Choose among a wide range of vivid colors, including our newest one — gold — and we will use a process known as thermography to give them a raised texture and shimmery shine. 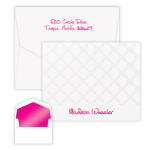 Customize your raised-ink card with your favorite quote, phrase or saying. Raised ink notes Our Raised-Ink Notes are created with the high-quality printing technique called thermography, which uses heat and powder to create a textured personalization. This unique result looks elegant and luxurious. Surprise your family and friends with this striking gift. 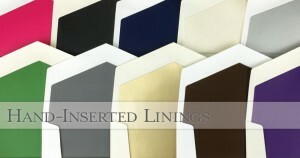 Choose from a variety of modern, professional and fun-looking designs for the home and office.